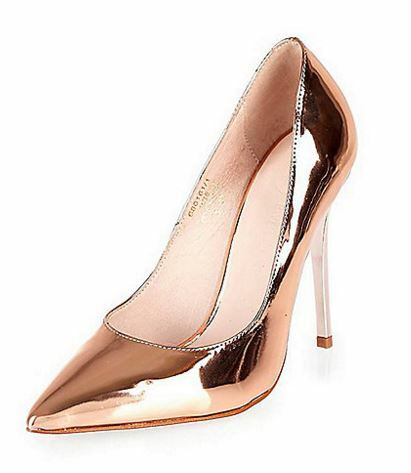 Over the course of the last year or so, rose gold has become my metallic of choice, replacing yellow gold as my go-to shade for eveningwear and jewellery. It doesn’t sound like much of a difference, and to be perfectly honest, it isn’t, really: they’re both versatile shades which go with most things, and add a touch of glamour to your look. Rose gold, however, is a little warmer, and a touch more subtle: I find it more flattering to my skintone, and while I’m not particularly trend driven, I have to admit that the fact that it’s so popular right now makes it a whole lot easier to find. 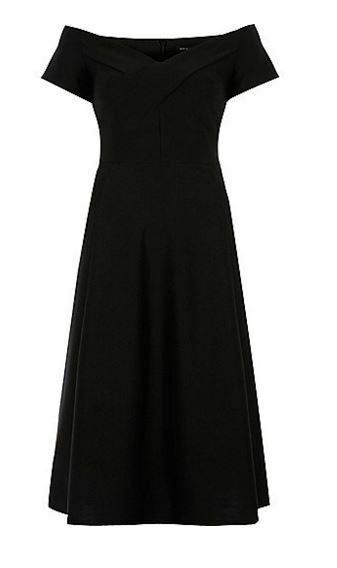 I also love this black bardot midi dress: this is the kind of dress you’d pay a lot more than £50 from if you were to buy it (or something similar) from a retro reproduction brand: I love the fact that I can occasionally find similar styles on the high street for much less money, and I also appreciate the scuba fabric this is made from, which won’t crease too easily. This is cut to look like a top layered over a skirt: I like the shape, but of course it’s the colour that really attracts me to this – perfect for autumn, perfect with tan leather boots… and actually, it would also be pretty near perfect with those rose gold pumps, too! 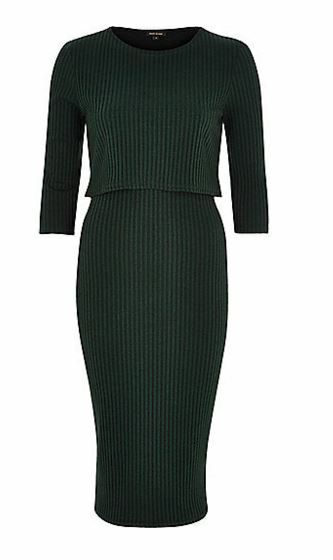 This is also one of those dress-up/dress down pieces: I’ve been investing in a few knitted dresses lately, and find them so easy to wear – I really like the fact that they’re warm, and fairly practical, but still make you look like you’ve made an effort!